I’ve always been a huge fan of Spanish cuisine. 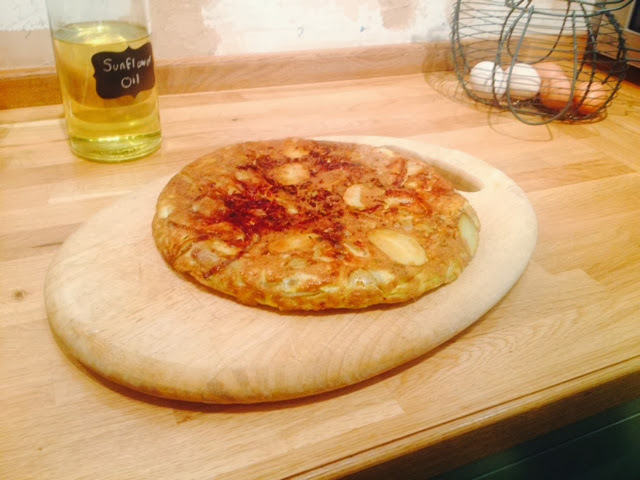 Tapas and paella are two of my great foodie loves, but one thing that’ll always have a place in my heart is a Spanish tortilla. I used to eat tons of the stuff on family holidays as a kid. For those of you thinking ‘oh but isn’t that just a wrap?’ … No! In Mexico a tortilla is a thin flat bread that we most commonly use here for making wraps. 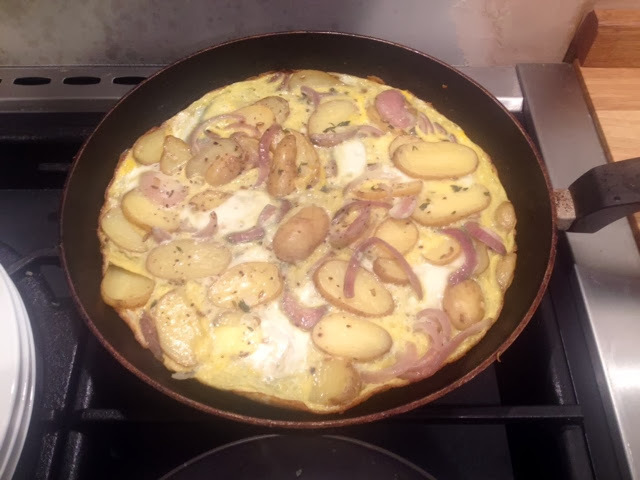 In Spain a tortilla is a potato based omelette. And it’s that which I’m showing you how to make today. It’s a delicious and simple snack and really easy to make. Other than the eggs and the potatoes which are essential, you can swap around and play about with the other ingredient and add to it as you wish, but always make sure it’s well seasoned. 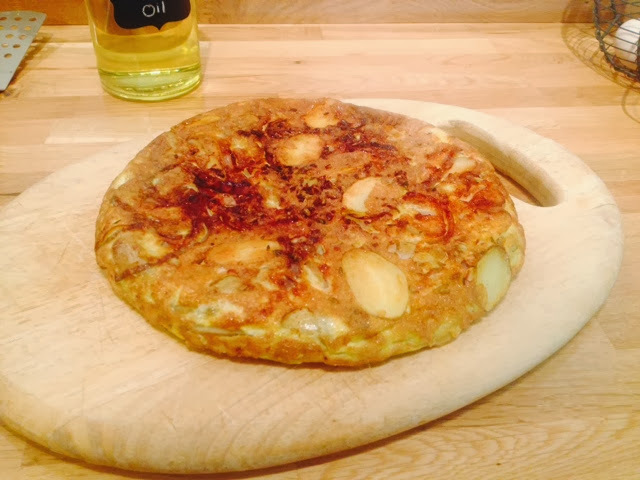 A tortilla served with a simple salad makes a great light lunch or simple supper, it makes a good addition to a buffet table or would be perfect for a tapas evening. 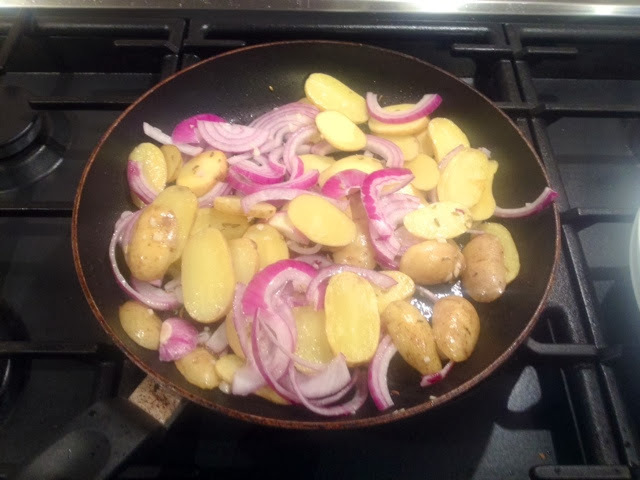 I’m also really keen on using it as an alternative to the potato element of your meal, in the place of a gratin or a dauphinoise. 1. 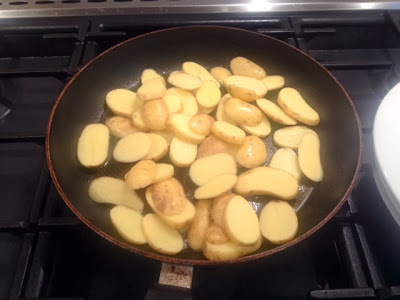 Heat a generous glug of oil in a large frying pan and fry the potatoes on a high heat until they begin to soften. 2. 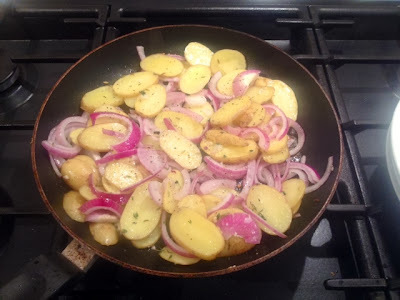 Throw in the red onion and garlic and fry until onions are softened. 3. Throw in the fennel seeds and thyme and stir through. Season generously with salt and pepper. 4. 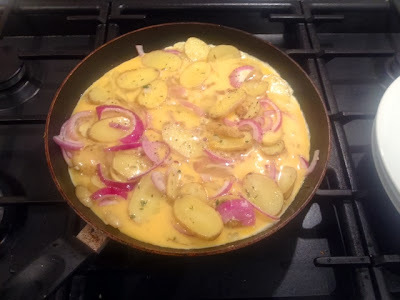 Pour in the eggs, ensuring all ingredients in the pan are covered. 5. Turn the pan to a low heat and cover. Cook gently for 30 minutes. 6. 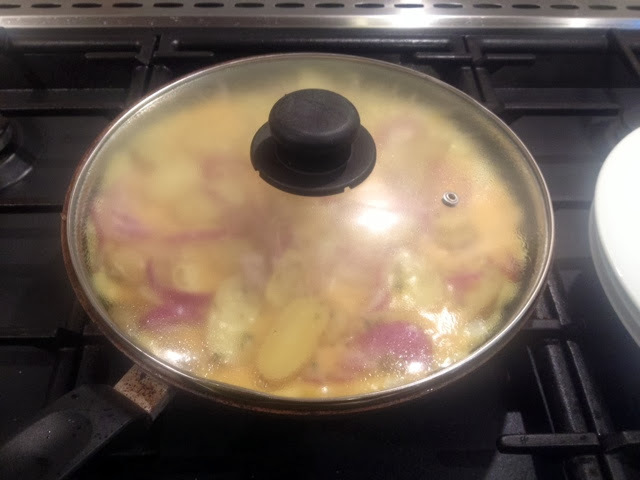 When the eggs have cooked through, remove the lid and turn off the heat. 7. Flip the pan and turn out the tortilla onto a large board, cut into slices and serve as a centre piece to tapas or as part of a buffet.